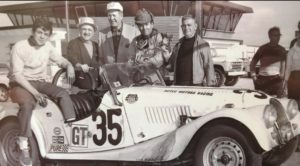 DAYTONA BEACH — Fifty years ago a British Airways pilot named George Waltman took a car that a friend found at a police impound lot in the Bronx and drove it down to Florida for the Rolex 24 At Daytona. The big difference between Waltman and others coming down for the event was that he then raced the 1964 Morgan Plus 4 street car, by himself, finished the race, took a side trip to Miami and then drove it back home to New York — all on the same set of tires. Waltman set a Daytona International Speedway and sports-car record unlikely to be broken. He is the only driver in Rolex 24 At Daytona history to run the entire race solo and take the checkered flag. It is a tale packed full of racing lore. 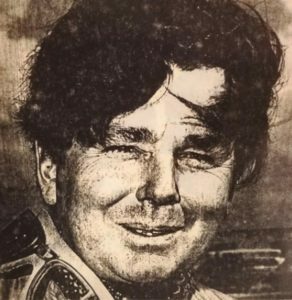 Waltman, who lived in Freeport, New York, was what the industry now calls a “gentleman racer,” racing for fun, not profit. He began racing sports cars in 1954 and was a regular in races staged in Nassau, Bahamas. He took his game up a notch in 1960 when he entered and competed in the 12 Hours of Sebring. The following year, he made a solo run at Sebring. During his career, he competed in 54 races, and scored one overall victory (1965 SCCA Regional) and four class wins. But Waltman’s biggest achievement was the 1968 Rolex 24, his only start in the Daytona race. His solo performance began in the back of the 64-car field, but thanks to a combination of attrition and grit, he took the checkered flag in 30th place after turning 338 laps. The Morgan Plus 4 was originally purchased by his friend and racing mechanic Ali Lugo. Waltman and Lugo made some minor tweaks before the race, such as adding an air scoop under the car to funnel more air to the engine, and outfitting the small auto with Michelin X radial tires. Working with a shoestring budget, Waltman drove the street-legal Morgan convertible from Freeport to the Speedway. Waltman’s entry was no match for the top cars of the day, including exotic factory-backed Porsches and Ford GT40s. His goal was simply to drive solo and take the checkered flag under power. In those days there was no rule against a one-man team, while today teams must have a minimum of three drivers for the twice-around-the-clock endurance race. According to The News-Journal story chronicling Waltman’s historic run, the driver was ordered to take a one-hour rest after every four hours of racing. But none of it seemed to phase the 42-year-old family man. As if driving a solo 24-hour race did not provide enough drama, Waltman’s car suffered some late mechanical issues. But the resourceful pilot had one more trick up his sleeve. “With less than one hour to go, part of the fan broke and a piece punctured the radiator. He had to pit,” Tara Waltman, 59, recalled. “It took them a half of an hour to fix it — with chewing gum,” she said. “He had 10 sticks of chewing gum and he had everybody around him chew gum, lumped it together and plugged the hole in the radiator with it. Herb Branham, ISC Archives curator, is in the business of collecting and preserving racing history. “The Rolex 24, aside from having so many great champions and huge names, is also known for all kinds of great characters and some tall tales,” said Branham. “George Waltman qualifies in that group. He may qualify as the most unique character in the history of the event. Bill France Sr., who founded NASCAR and built the Speedway, was so impressed with Waltman’s effort that he congratulated him on pit road and gave him a lap around the track in the pace car. The story caught the fancy of the media with The New York Times dubbing Waltman the “Ironman” of racing. Tara, who lives in New York, has spent several weeks inside the ISC Archives and Research Center here, helping create a display about her father’s solo run. Among the artifacts on display is the helmet Waltman wore during the race. Branham said Waltman’s story resonates to this day. Tara is on a mission to tell her father’s story, which has been somewhat lost to racing history. The Waltman family is currently searching for the Morgan Plus 4 raced in 1968. It has proven difficult to track down because the car had no paperwork when it was bought and driven off the police impound area half a century ago. MALVERN’S iconic Morgan sports car company enjoyed its best year yet in 2017, the firm revealed this week. The company’s work force grew from 170 staff members in 2016 to a current level of 201. This number includes six apprentices, and the firm is looking to recruit more next year. 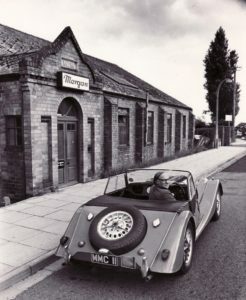 The Morgan factory brings 30,000 visitors per year into the area to go on factory tours or join Morgan experiences. These visitors travel from around the UK and all over the world to see the factory. The Run for the Hills event at the Three Counties Show Ground in August saw 6,000 visitors and 2,000 Morgans from 30 different countries visit the town, and the company hopes this year’s event will be just as successful. A spokesman said: “Whilst we have not confirmed profits for the 2017 financial year yet, we can confirm that it will have been our best year yet. 2017 also saw Morgan buy back its factory site, which was originally sold off in 2006 as a sale and lease-back agreement. “The repurchasing of the land in June was the most positive news for Morgan in an already positive 2017. The purchasing allows Morgan to improve the facility and equip it for 21st century coach building. “It also signals Morgan’s intent to continue manufacturing in Malvern, on the site that they have been on for 103 years,” said the spokesman. Among the highlights the company is looking forward to in 2018 is the 50th anniversary of the Plus 8, the release of the limited edition Aero GT at the Geneva Motor Show and the introduction of the EV3, Morgan’s first all-electric production vehicle. Morgan staff also raised over £30,000 for the British Heart Foundation, the company’s charity of the year, by holding auctions, running marathons and other fundraising initiatives. 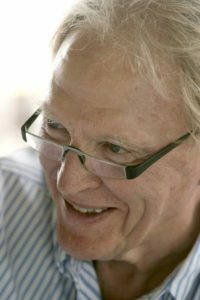 NEWPORT BEACH, Calif. (AP) Dan Gurney, the first driver with victories in each of the Formula One, IndyCar and NASCAR Cup series, died Sunday [14 Jan 2018] from complications of pneumonia. He was 86. 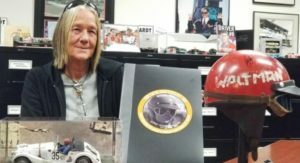 His wife, Evi, announced his death in a statement distributed by All American Racers, Inc.
”With one last smile on his handsome face, Dan drove off into the unknown just before noon today,” said the statement signed by Evi Gurney, the Gurney family and AAR teammates. Gurney began racing in 1955 and won in nearly every racing series he attempted. He drove for Ferrari, BRM, Porsche and Brabham in Formula One, then formed his own team. He won the Belgian Grand Prix in 1967 in his own car, the first and only time an American won an F1 race in a car of his own design. Gurney teamed with AJ Foyt that year to win the 24 Hours of Le Mans in a Ford GT40, and he’s often credited with starting the tradition of spraying the champagne from the podium at that race. Gurney retired from driving in 1970 with 51 victories. Mario Andretti and Juan Pablo Montoya are the only others drivers to win in each of the IndyCar, Formula One and NASCAR Cup series. Andretti hailed Gurney in a post on Twitter. Funeral arrangements are to be private but the family asked that donations be made to the Hoag Hospital Foundation in Newport Beach in lieu of flowers. If someone had asked me in the pub, I would have said that everything about a Morgan sports car is definitely not me. For a start, they are made in a place called The Malverns, which my school atlas reveals is as near as damn it to Wales, a place where I have been sentenced to death by the Welsh National Assembly for making fun of their road signs. Buying a Morgan involves going to the factory, and that rules it out since no car is worth the risk of being summarily dispatched by some woad-smeared Celtic separatist. This sort of thing makes me want to stick my head under a milling machine and end it all. Who, in their right mind, would want a car made the way cars were made in the 1930s? I’d wager that none of the people who hanker after them wash their smalls in a zinc tub, or go outside to use the lavatory. Nobody really wants to live in the past, so why drive there? You may as well send your kids to the workhouse. My good friend Richard Hammond – a Morgan fan – made an interesting observation about these cars. It is this: these days, many ‘prestige’ makers finish their cars off with a light dusting of wood trim. At Morgan, however, the manufacturing process actually starts with wood. Underneath the Dad’s Army bodywork, these things are made of wood. It’s not even MDF or that fake Timberlux stuff that the Koreans use. It’s wood, for Pete’s sake. Here is a quote from Morgan’s promotional blurb. ‘There’s one room visitors to Malvern cannot enter. This is the development area, where important things of a technical nature are going on.’ What, exactly? Sharpening chisels? And then there’s the styling. 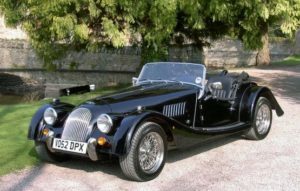 Morgan obviously suffered something of a crisis during the Nineties, when retro design became all the rage. Other manufacturers were plundering their heritage for design themes, but when Morgan opened the filing cabinet to seek inspiration from their old cars, they discovered that they were still in production. So they decided to try something modern and came up with the Aero 8. It looks as though it’s been drinking. You can imagine my disquiet, then, when Hammond rolled up outside my house, with a wholly unnecessary blip of throttle through the side pipes, in the ‘latest’ Morgan Roadster – what essentially used to be the Plus 8, only now with six cylinders. “You’ve got to come and have a go in this,” he enthused. “No I haven’t,” I replied and began making my way to the pub. Clearly, I couldn’t stand by and watch him do that. So I climbed into the driving seat and prepared to steer him away from Malvern’s dangerous and subversive carpentry cult. A few things struck me. First, the door, on my elbow, as I shut it. And then the dashboard. The last Morgan I drove was a Plus 8, which had a wood fascia and some slightly clumsy cast-off warning lights and switches from the Great British Motor Industry parts bin. But here was a veneer of carbon fibre with neat, coherent minor controls. But there was no clock, and I couldn’t help admiring this bold assertion that if you’re driving a Morgan, time is of no consequence. The steering wheel was very close, but the radio, mounted down on the transmission tunnel, was so far away I couldn’t read the display. The seats were simple, yet felt excellent, and the whole thing was beautifully assembled in a no-nonsense nuts’n’bolts kind of way. God in heaven, it’s quick. Sixty comes up in well under five seconds, which somehow makes the tally-ho styling even more incongruous. It’s like having a microwave disguised as an Aga, allowing you the romance of olde England with the convenience of a pizza done in 60 seconds. Better than that, it contravenes current supercar thinking by being bendy. And it’s bendy because (in case you’d forgotten) it’s made of wood. So every undulation in the road, every tweak of the steering wheel, and every change in the pace of the engine comes back to you as a subtle tremor in the fabric of the thing. I haven’t enjoyed such intimacy with the road since I last fell off my bicycle. In fact, I’m going to admit that I haven’t had so much fun in a car for ages. I also think that Morgan may have pulled off a clever stunt with the Roadster. Where so many are struggling for a truly contemporary design and resorting to retro tinsel to maintain our interest, Morgan has continued to build its old car but given it a smattering of modernity – the dash, the switches, the performance, the exhaust note – to stop it feeling crusty. 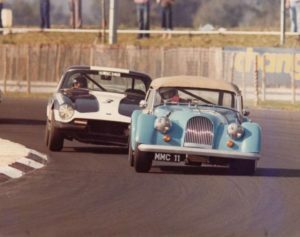 Morgan bores may lament the passing of the old Rover V8, but I think it’s a good thing. The new Ford-derived V6 makes the car feel modern, and it’s related to the one found in a Noble rather than the one found in a fibre-glass kit car. In the end, I don’t care if the Morgan Roadster is British, or traditional, or built by a man who still wears an apron. That’s not, in the end, why it appeals to me. It appeals because, rose-tinted glasses locked away securely in the glovebox, it’s just a bloody great car. ONCE described as the brand that could not last in the face of modern competition, that marvel of the Malverns, Morgan reigns supreme as a very British manufacturer of sports cars. And perhaps its most iconic product, the Plus 8 has shown that the traditional British sports car design will never bow down to gimmickry or fashion. 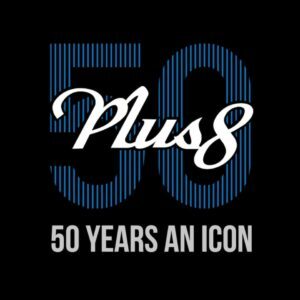 Such has been the success of the Plus 8 that it is now celebrating half a century, a milestone to be celebrated by the Morgan Motor Company announcing a 50th Anniversary Special Edition to be revealed at the Geneva Motor Show in March. The family-owned, bespoke sports car manufacturer will produce 50 of the special edition models, each to be sold through their existing Dealership network. The Plus 8 50th anniversary edition will be a true V8-powered thoroughbred tribute to Morgan’s most celebrated four-wheeled model. The Plus 8 continues to pioneer new technology within the classic Morgan bloodline. Deriving its name from the eight-cylinder engines it has adopted throughout its life, this model consistently offers the greatest power to weight ratio of any Morgan. It is, without doubt, a rare combination of craftsmanship, luxury and technology. A lightweight aluminium chassis and 4.8-litre BMW engine sit beneath the traditional Morgan body. At just 1,100kg, the Plus 8 is one of the lightest V8 passenger cars in the world and is capable of 0-62mph in 4.5 seconds and has a top speed of 155mph. First conceived by Peter Morgan, the Plus 8 prototype was revealed to the public at the Earls Court Motor Show of 1968. Then sporting a Rover V8 engine and a Moss gear box, the original Plus 8 was based on a Plus 4, but was larger and featured a large number of changed or upgraded hand-crafted parts. The first Plus 8 production model was one of the most successful cars that the company has ever built, and production continued for 36 years. Approximately 6,000 Plus 8s were built at Morgan’s Pickersleigh Road factory until the model was put on hold in 2004 when the production of Rover V8 engines ceased. In 2012, the Plus 8 was spectacularly reborn into the Morgan range, on a lightweight aluminium chassis with the powerful 4.8-litre BMW engine, as used in the Aero range. It quicker than any ‘classic’ Morgan before it. This very special car will be the star of the show on the Morgan stand when it makes its public debut at the 2018 Geneva Motor Show in March alongside the race-inspired Aero GT. Our wedding car was a classic Morgan Plus 8, which we drove from the wedding service to the ceremony. The location was archetype English – pristine countryside dotted with pretty little villages, quaint churches and old pubs. It was a hot summer’s day and the car was a hot red with no roof and superb fun as we temporarily parted from family and friends, hopped into the tiny two-seat roadster, maneuvering the twisty lanes. It was exhilarating. It was also an ideal set for a Morgan car, for I cannot think of another marque with quite such a distinctively British aesthetic – quirky, elegant, a little bit wrong maybe, but a lot of fun and a nod to the romance of another time. So, it has been exciting to hear that Morgan Motor Company will honor this most celebrated of its cars with a Plus 8 50th anniversary special edition model with only fifty planned for production. The first Plus 8 was born in 1968 when Peter Morgan conceived then debuted the prototype at the London Earls Court Motor Show. The car was based on the Morgan Plus 4, though proportionally bigger, with redesigned hand-crafted elements and powered by the Rover V8 engine. The first production MMC11 model became one of the most successful cars Morgan has ever built with production continuing for 36 years. Some 6,000 cars were created at Morgan’s Pickersleigh Road factory in England until the model was discontinued in 2004 when the production of Rover V8 engines ceased. Then in 2012, the Plus 8 was reborn. Unusually, Morgan has managed to remain family-owned, continuing to make intricately crafted sports cars. The cars are so much about design for desire and the Plus 8 50th will continue this tradition of combining artisan skills, luxury and technology. A lightweight aluminum chassis and 4.8 liter BMW engine sit beneath the traditional Morgan body. At just 1100kg, the Plus 8 is one of the lightest V8 passenger cars in the world and is capable of 0-62 mph in 4.5 seconds and has a top speed of 155 mph. The Plus 8 50th will be revealed in March this year at the Geneva Motor Show. 50-unit special edition will be revealed at Geneva in March to commemorate the end of the BMW V8-engined Plus 8, alongside the last Aero 8 edition. Morgan has announced that its Plus 8 will no longer be made with the 4.8-litre BMW V8 engine, commemorating the departure with a 50-unit, 50th Anniversary edition of the retro-styled sports car. Set to be revealed at the Geneva motor show in March, the Plus 8 50th Anniversary Special Edition will be a more luxurious edition of the Plus 8, although the brand has revealed none of the car itself. The limited edition will be sold through Morgan’s dealer network, although the brand hasn’t yet revealed pricing. It’s likely to command a premium over the standard car’s £85,461 starting price, though. 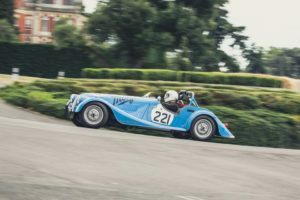 The Plus 8 was reintroduced into the Morgan range in 2012, and since then has been atop the brand’s lineup in terms of power-to-weight ratio; the light 1100kg kerb weight and 367bhp combining for a figure of 315bhp per tonne. It was first introduced in 1968, and was produced until 2004, powered by a Rover V8. Morgan’s staying tight-lipped about the special edition until its official launch at Geneva, alongside the Aero GT – the 8-unit run-out special edition of the Aero 8. [This press release was originally written at the end of 2016. I don’t actually know if they were able to come to market in 2017 with this new product as I wasn’t in the market. However, if you have a need, an SU based Fuel Injection system could be just the ticket. I would call Burlen or send them an email and ask about this system. Burlen Ltd, the world’s only manufacturer of genuine SU (Skinner’s Union), AMAL and Zenith carburetors, is gearing up for an exciting 2017, with an innovative and truly ground-breaking product set to roll out of the workshop. This game-changing launch from Burlen will be an all-new and complete fuelling system that includes a fuel injection device working inside an SU carburetor, and it’s set to completely shake up the market when it’s released in the summer. Under the bonnet, it looks just like the world-famous SU carburetor that is known and loved around the globe, but hiding inside it is a complex and innovative fuel injection device that enhances performance and reduces emissions. Four years in the making, the SUi system is the result of a simple idea and the determination to experiment and analyze the possibilities. Each SUi system comes complete with a new ECU, the required sensors, wiring and any other component that is required to fit the kit, all thoroughly tested and approved by the SU development team. This innovative product is unlike anything else currently on the market. And as it’s an SU product that’s been put together with Burlen’s passion and professionalism, it comes with the ultimate seal of approval. Launched initially for Jaguar XK/ E 4.2 six-cylinder engines, the SUi kit will be available for different engine sizes and states of tune. The next stages of development will see the kit suitable for a wider range of engines and applications. This marks a new beginning for the SU brand and could well be a historic moment for the company that adds to its already rich heritage. SU has an enviable history dating all the way back to 1900, when brothers George Herbert Skinner and Thomas Carlyle Skinner began experimenting with fuel mixture and atomization. The S.U. 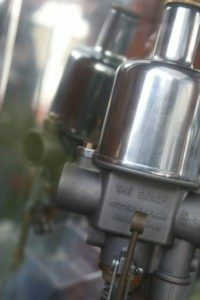 Company Ltd was founded in 1910, and it’s been a carburetor superpower ever since. Over the generations, the keys to the Skinner’s Union castle were passed from Skinner to Skinner until Burlen acquired the name and rights of the company in 1996. Burlen and Skinner’s Union first collaborated when John Burnett and Mike Cullen’s business was named as an official SU agent in the midst of the 1974 fuel crisis, but business wasn’t exactly booming. Towards the end of the eighties, the SU brand was suffering from neglect as the factory was known as ARG Fuel Systems and fast-moving product was distributed by Unipart. However, Burlen came to the rescue and reached an agreement to relaunch the SU logo and livery as they appear today. Despite SU being one of the oldest brands in the automotive world, Burlen’s youthful and exciting vision for the future has brought it into a completely new light. Brothers Mark, Andy and Jamie Burnett are the masterminds and have worked at the company for over 15 years at all levels and now form the board of directors running the business. Their passion and excitement for the brand along with modern thinking and technical vision marks the start of a new era for Burlen. Each brother has his own distinct personality and interests. Mark is a huge motorsport fan who even takes part in historic races himself, while Jamie is very passionate about classic and custom cars from across the Atlantic. Andy is a lover of historic military vehicles and weaponry. It’s this real passion for cars that means the new board has complete empathy for classic car owners around the world and can draw on their own experience to bring game-changing products to market. And their new direction for the company is epitomized by the upcoming product it will take to market, the first of several new developments to come in 2017. More products will be launched over the course of the year, plus Burlen will make appearances at several high-profile events, including the Goodwood Revival. The upcoming year is set to be an incredibly exciting one for Burlen. We’re always looking to the future and focusing on both revolution and evolution, and our upcoming project is a welcome injection of fresh thinking in the classic car world. Of course, we strive to remember and stay true to our heritage, and we’re looking forward to showing off the best of the old and new world at events around the UK over the course of 2017. Note: Press release courtesy Burlen Ltd.
Morgan Motor Company, the world’s longest running family owned motor manufacturer, is delighted to announce the appointment of Colin Boden as Group Financial Director with immediate effect. As Group Financial Director, Colin will not only be responsible for the financial functions of the Morgan Group, his role will establish him as a key influence in strategic decisions as Morgan continues to excel through its second century in business. 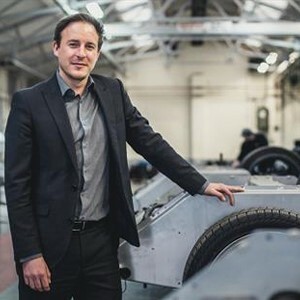 His key aims will be to further improve profitability for the company, ensuring Morgan has a stable financial platform to develop exciting vehicles, embark on ambitious new projects across all business areas as well as introduce industry leading technology into the model range and production process. Initially joining the Malvern based firm in 2010 as Management Accountant, Colin has worked within almost all facets of the Morgan business during his time there, and most recently was influential in the repurchase of the factory premises in June. 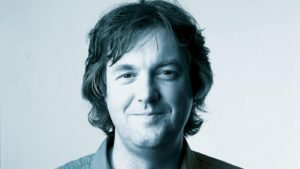 Boden, 33, joins Managing Director, Steve Morris, Technology Director, Graham Chapman and Supply Chain Director, Gregor Dixon-Smith working at the company.